Patients in search of an Orthopedic specialist or surgeon on Long Island these days have the internet at their disposal. With a whole slew of competition, potential patients have many physicians to choose from. What sets your practice apart from the pack? Prescription PR, a Long Island based healthcare marketing company, understands the highly competitive nature of the healthcare industry. Marketing your practice is vital for success in the healthcare environment. Having a reputable practice is important but with changing times, that brought forth the internet, there are other factors to consider. Awareness and high visibility can drive individuals to a certain doctor’s office. If you’re not working to get the word out about your practice, you’re missing opportunities. Orthopedic specialist and surgeons with bad reputations may be getting more patients just because they promoted their name well. 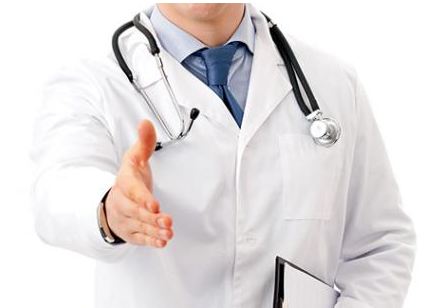 Marketing medical practices is far different than marketing say a product. We at Prescription PR create a plan that is specifically aimed for your practice. Our primary goals are to generate more patients for our clients and also to create an image that conveys the care and type of services you provide. Patients often do research on the internet concerning their ailments, this provides a gateway of opportunity for them to find your name and practice. There are several strategies we have formed that will successfully market your Orthopedic practice to a larger audience including digital marketing as well as our physician liaison program where we will build relationships with various specialties in your area to help increase your new patient referrals. We also can help put your practice higher on the list of results through search engines such as Google. Prescription PR also does research on what is already out there concerning you practice. We keep track of ratings and patient feedback for you. Having a negative online reputation can be detrimental to your success; we have the tools to help you handle negative press. Social media has become a huge source of information for people today. We try to utilize social media platforms such as Facebook to keep connected with current patients and also in attempts to find new ones. Our team of web developers can create a website that will convey the objectives and goals of your practice. We customize websites that are simple and easy to both navigate and use. There is a lot of competition in the healthcare industry. Not marketing your practice puts you at a huge disadvantage with your competitors. Don’t let less talented and knowledgeable orthopedic specialists be more successful than you just because they advertise. Self promotion is not something to be indecisive or unsure about. If you have confidence in your practice and the services you provide, failing to market and spread the word does a disservice to yourself, the medical community and most importantly patients in need.